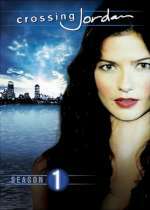 Crossing Jordan: Mystery and Suspense on Television. 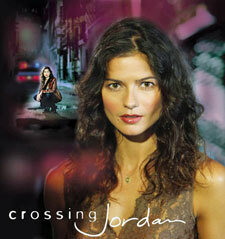 Jill Hennessy stars as Dr. Jordan Cavanaugh, a Boston medical examiner, in Crossing Jordan. The ensemble cast also includes Miguel Ferrer as Chief Medical Examiner Dr. Garret Macy, Steve Valentine as criminologist Dr. Nigel Townsend, and Jerry O'Connell as Detective Woody Hoyt. In the first two seasons, Ken Howard played Jordan's father, retired police detective Max Cavanaugh, who helped his daughter solve cases by role-playing the events leading up to the crime. The series debuted on NBC in September 2001 and was unexpectedly cancelled at the end of its sixth season.